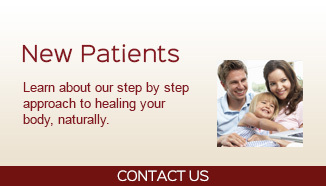 Malvern Chiropractor, Frazer, Exton, West Chester PA - Mariano Holistic Life Center, Inc. Your Body Wants to Be Healthy and Pain-free. My friend said, Just trust me, it works. So I did. And it’s been amazing! Our Promise at Mariano Holistic Life Center, Inc.
At Mariano Holistic Life Center, Inc., we promise to do things differently. Many of our practice members comment during their initial visit that, “No one has ever listened to them and evaluated them with such unique exam techniques.” They add that, “they finally have hope that we will identify the reason why they are suffering and look forward to being able to walk, run, play with their children and perform at a competitive level again.” In other words, live life to the fullest again. Mariano Holistic Life Center, Inc. has been providing holistic health care services in the Malvern and Great Valley region since 1992. Our advanced techniques allow us to identify the root cause of your problem, so you can once again live a pain free and healthy life. So, if you or your loved ones are tired of being stuck and want to live your life again, contact us today. *The information on this website is presented for educational purposes only. It is not intended as a substitute for the diagnosis, treatment, or advice of a qualified, licensed medical professional. The facts presented are offered as information only, not medical advice, and in no way should anyone infer that we are practicing medicine. 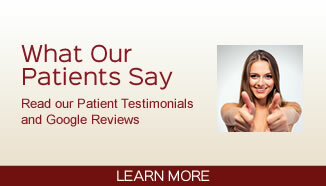 Seek the advice of a medical professional for proper application of this material to any specific situation. No statement on this website has been evaluated by the Food and Drug Administration. Any product mentioned or described on this website is not intended to diagnose, treat, cure, or prevent any disease. I am excited and happy to be able to have this oopportunity to improve myself, emotionally, physically and spiritually and I thank God for blessing me by showing me what my body has known all along. N.E.T. has been a miracle to me. I will be forever grateful to Dr. Mariano for performing N.E.T. and Dr. Chamberlain for sending me to Dr. Mariano. Thank you Dr. Mariano for being such a caring professional and most amazing healer.